Product code: 675 Categories: Sold Items, Sold Jewellery. 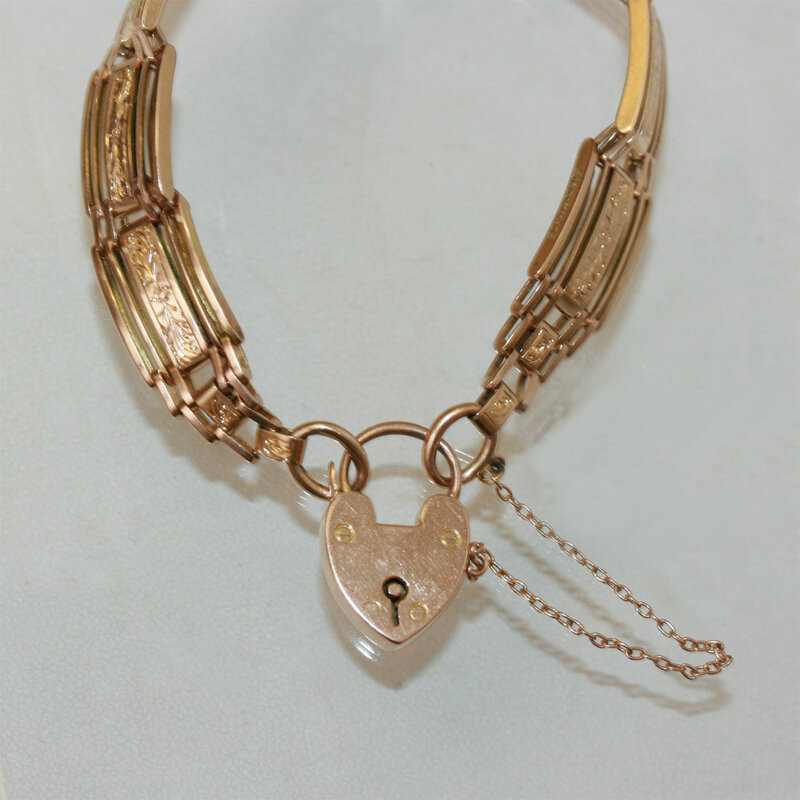 This simple and elegant antique Edwardian gate bracelet is so pretty and feminine. Made in a gate link bracelet style, it is made in 15ct rose gold and has achieved such a wonderful patina. The bracelet measures 1.1cm wide, perfect to wear on its own or with a bangle or watch. 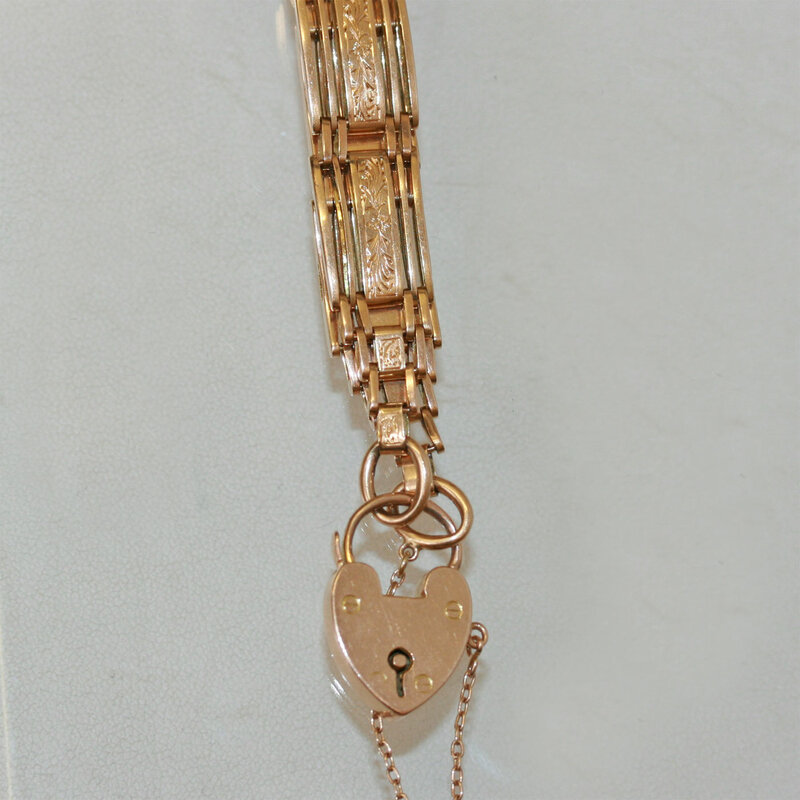 A really georgeous feature is the floral pattern on the links and the heart shaped padlock with the extra feature of a safety chain. Overall this is one very beautiful and elegant antique bracelet to wear everyday.